Your Local Institute gives you access to your local insurance network, offering mentoring opportunities, study supports and professional development. What's happening at your Local Institute? All of our events are booked through online booking. So don’t miss out. Head over to iii.ie/bookmyticket to see our full listing. When you become a member of The Insurance Institute, you are automatically assigned to a Local Institute network, usually close to where you live or work. 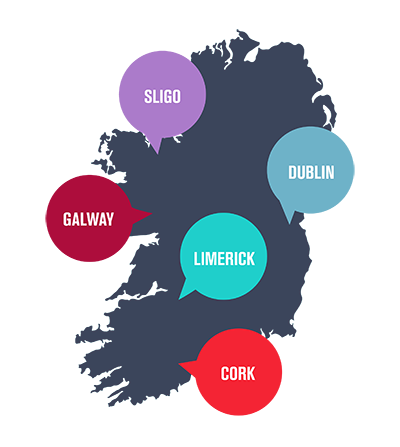 Local Institutes are based in Cork, Dublin, Galway, Limerick and Sligo. Select your Local Institute below to learn more about the Councils. If you're interested in joining your Local Institute as a Council representative or an office champion, get in touch with us – we'd love to hear from you.